Elton John spent the eighties trying to re-focus, using songwriter Gary Osborne as well as Bernie Taupin. The results were mixed. In some ways this is a "treading water" album, in other ways there are a couple of hidden gems on it. The first track, "Breaking Down Barriers" is rather nondescript and suffers from muddy production somewhat. 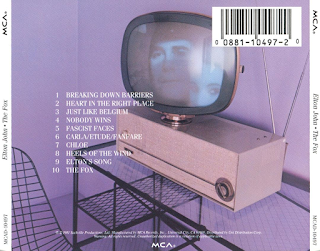 "Heart In The Right Place" is a heavy, clunky rocker with some killer lead guitar on it. "Just Like Belgium" is one of my favourite, "undiscovered" Elton John songs. It is a Bernie Taupin song and you can tell. It is catchy, singalong and just very enjoyable. "Nobody Wins" is a late-era ABBA-esque, European-influenced melody but it is buried in eighties production and just sort of passes you by. "Fascist Faces" is a hard-hitting grinding rocker, with some searing guitar at the end and is a rare time when Taupin has written blatantly political lyrics. "Carla/Etude/Fanfare/Chloe" form a neo-classical, highly orchestrated piece that has four parts. It has its ups and downs, but it is pretty unremarkable, to be honest. It is less than the sum of its parts. It is certainly no "Funeral For A Friend". "Heels Of The Wind" is a lively, upbeat Taupin song, but it is another one blighted by eighties production. It would have been a lot better with a conventional "rock" approach. 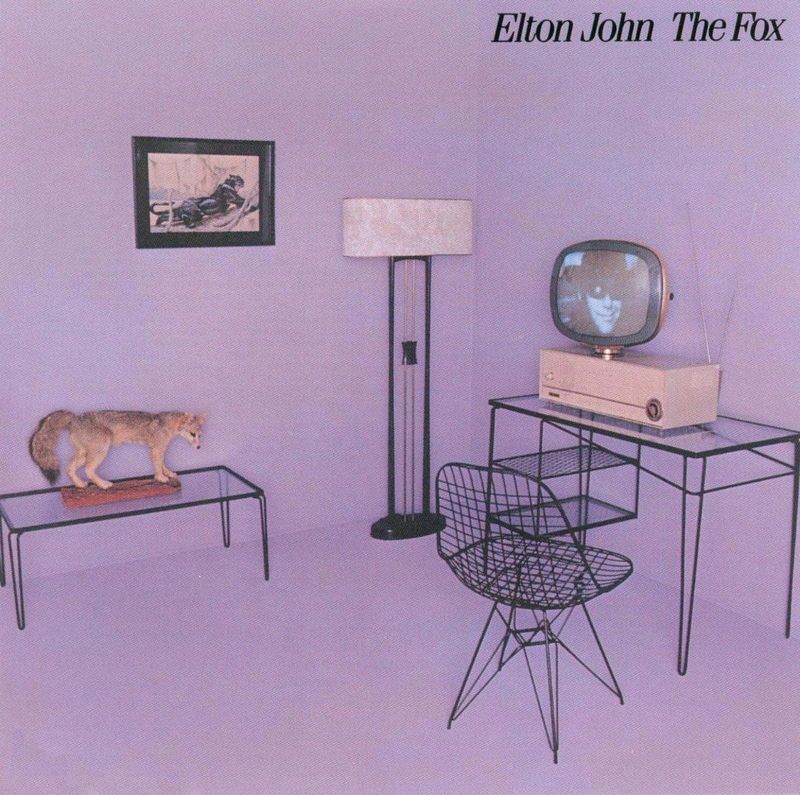 The final two tracks are excellent - the plaintive lament of "Elton's Song" and the slow-burning but melodic "The Fox". 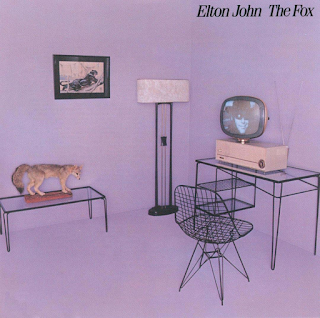 Again you can tell it is a Taupin song as soon as Elton starts singing. Overall, it is an unremarkable album lit up by "Just Like Belgium" and "The Fox".